Amazing horse property close enough to all you need! 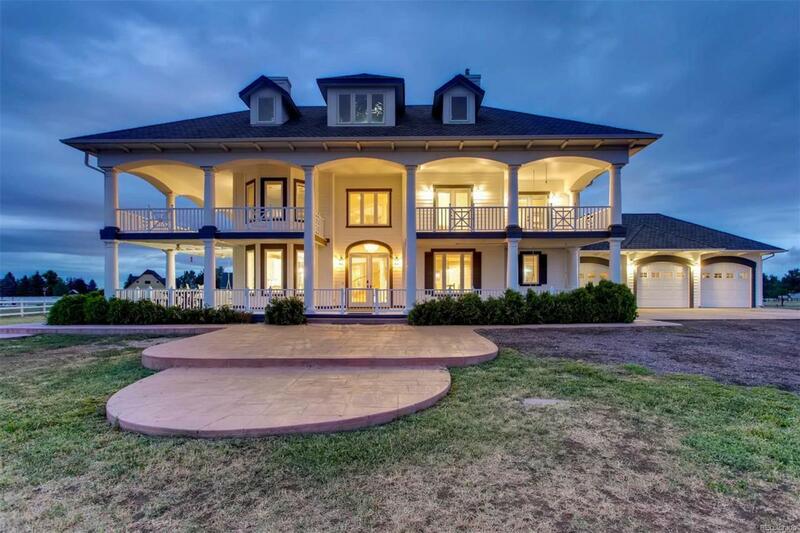 Plantation style home on 5 acres. A short distance to the Highline Canal and Chatfield State Park. Boasting an open layout, with large laundry/mudroom, dining, updated kitchen, and family room on the main level. Spacious master bedroom and remodeled master bath. The second level has 3 bedrooms & 2 bathrooms. All bedrooms open to over 2,300 sq ft of porches with stunning views!! HUGE basement and attic just waiting for you to put your stamp on them. Equestrian amenities: Fenced and cross-fenced with Centaur Horse Safe fencing. 3 huge grass paddocks & 2 smaller dry lots with run-in shelters. Beautiful 2 stall barn with enclosed tack room, tractor storage, and hay loft. H2O and power at barn. Professionally built sand arena (approx 85'x165') for any riding discipline you desire. MUST SEE!Don't miss this unique opportunity! Perfect neighborhood for anyone looking to feel a world away, with the luxury of close to town horse property.